Live the rags to riches story with your Sims while being connected to your friends! Experience the rise to stardom as your Sim performs on stage from one venue to the next. 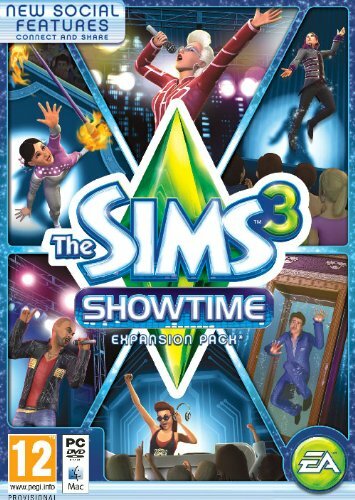 And for the first time, The Sims 3 Showtime introduces social features, including Simport, an all-new feature that lets you send your Sims to a friend’s game! There, your Sim can perform at your friend’s venue in front of your friend’s Sims! You will also be able to chat with friends and post messages and screenshots on your friends’ walls. Your Sims can live the dream as Singers, Acrobats, Magicians, and DJs. Watch them rise to fame—or go down in flames as they perform for other Sims. Send your Sims to a friend’s game and have your friend’s Sim come to your game! Create your own venue! Build a swanky concert hall, a massive stadium, or an indie club. How the stage is built will influence your Sims’ performance and career progression.